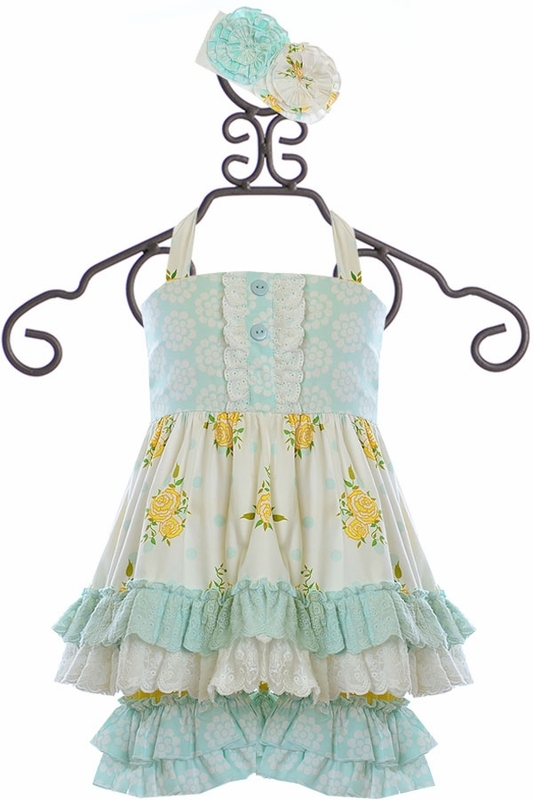 Chic for the spring and summer, this girls outfit from Serendipity would look especially darling for Easter! The tunic has a square neckline with thin halter straps. Buttons run down the center along with two ruffles. Her open back look is supported with a tie in the middle of her back and a touch of elastic at the waist. 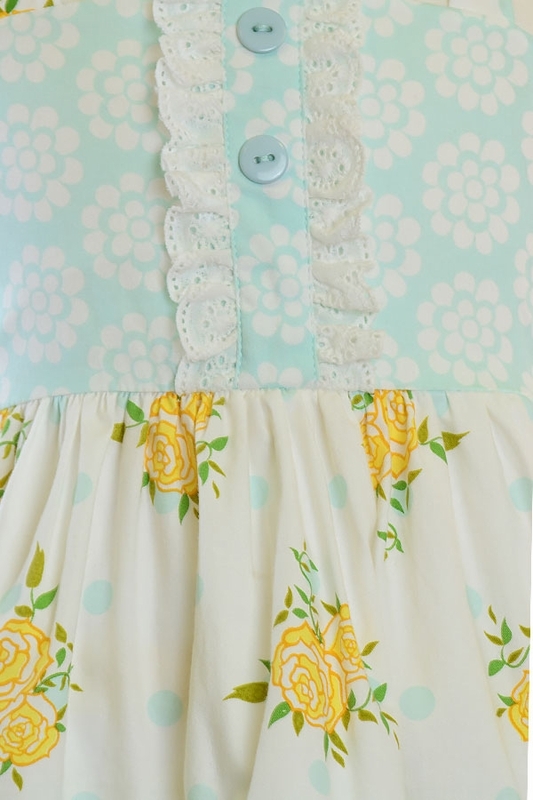 Yellow flowers are placed on the white skirt and two ruffles are layered at the hem. Stripes cover the matching ruffle shorties. 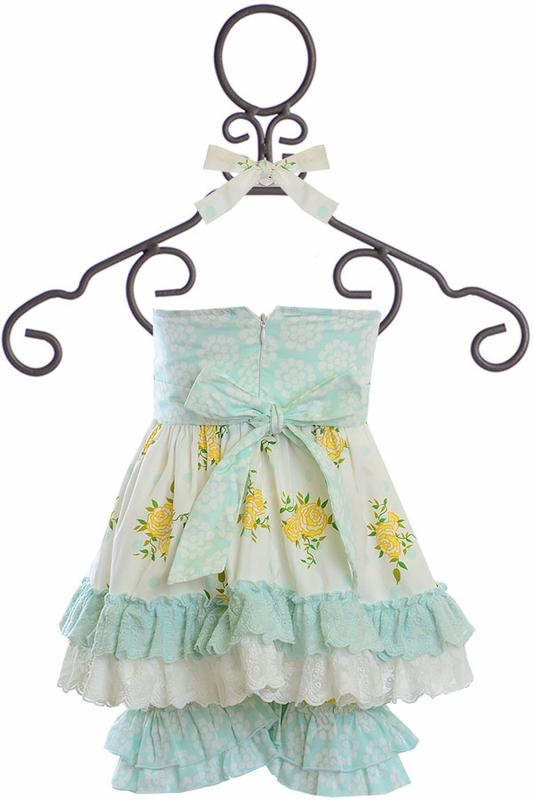 This Serendipity look also comes with a matching headband, making her outfit complete.